These agreements are the culmination of 6 years of discussions since the Copenhagen COP in 2009, which had thus far failed to reach such an accord. The agreement also concludes a year of strong and joint mobilization of all stakeholders launched by the UN Secretary General at the Climate Summit in New York in September 2014, and two weeks of intensive activities in Paris organized by local and regional government networks and their partners. Thousands of mayors and local governments from around the world kicked off the COP 21 gathering in the Paris City Hall on 4 December at the invitation of the Mayor of Paris, Anne Hidalgo, Co-President of UCLG and convened by Michael R. Bloomberg U.N. Secretary-General's Special Envoy for Cities and Climate Change, in partnership with the global networks of cities and local governments: C40, ICLEI and UCLG. This day served to showcase the political leadership of our constituency, establishing the rhetoric for the role of cities in the agenda and highlighting the commitment of local and regional governments in reaching a deal. 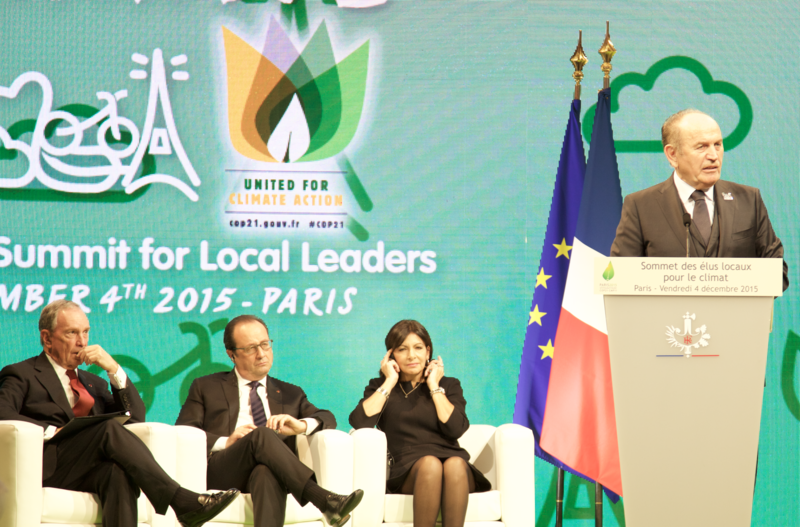 The Climate Summit for local leaders counted on the presence of the French President, François Hollande, the Minister of Foreign Affairs and COP21 President, Laurent Fabius and UN Secretary General Ban Ki-Moon. All expressed their conviction that local authorities need to be the drivers of change and highlighted the need for commitment from every level of government to achieve the ambitious goals, recognizing the need to ensure adequate funding. With this statement Ronan Dantec, Deputy Mayor of Nantes and UCLG spokesperson on Climate, speaking on behalf of the Local Governments and Municipal Authorities’ Constituency, at the opening plenary on 1 December, called on States to find the deal and ensured them that under these terms the relevant stakeholders, in particular local and regional authorities, would do the job. (full statement). During his intervention in the closing plenary on 12 December, Ronan Dantec congratulated the French Presidency on having reached a unanimous agreement but reminded those present of the need to look at all the current agendas (sustainable development, financing, urban) as complementary to the climate agenda. UCLG and its sister organizations, in particular ICLEI and C40 made sure that the voice of local and regional governments was heard in all the negotiations. During the sessions, local and regional leaders emphasized the need to link climate action to the 2030 and Habitat III Agendas, and reaffirmed the importance of citizen participation and inclusive social policies to ensure the effective implementation of the sustainability agenda in its broadest sense. For this reason, the inclusion in the preface of a clear reference to the Agenda 2030 was welcomed. 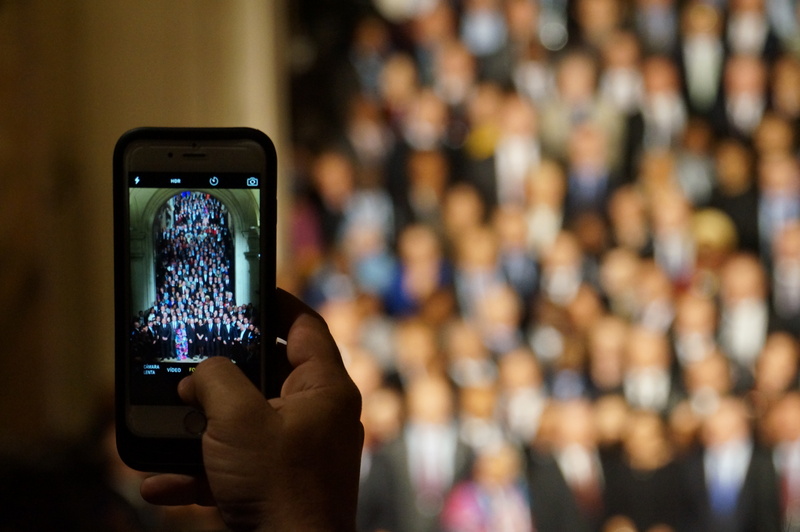 Hundreds of mayors worldwide signed the Paris City Hall Declaration during the Climate Summit for Local Leaders at Paris City Hall on 4 December, showing the value of exchanging experiences and ambitions. The Declaration recalls significant existing international climate initiatives by local governments, such as the (the Compact of Mayors, the Covenant of Mayors, the Compact of States and Regions, the Local Government Climate Roadmap and the NAZCA platform). In the framework of the LPAA, local and regional authorities and their networks were invited to join the Five-year vision, reflecting on the particular place local and regional authorities have in this process. UCLG has followed the preparatory process of the LPAA throughout 2015, advocating for this process to become an official space for dialogue and consultation between States and all relevant stakeholders, in particular local and regional authorities. The – NAZCA platform Non State Actors Zone was launched –at the COP 20 in Lima in December 2014. UCLG welcome the Paris agreement, especially because beyond the ambitious goals of this agreement, the greatest achievement comes from the commitment of all Parties to implementing it. Within the agreement the presence of chapters referring specifically to the implementation of actions at the early stages, for the period of 2015 -2020, is notable, and includes mechanisms for exchange of learning and expertise where UCLG actively collaborate. The constituency also welcomes the references made to its important role in climate change actions: “the efforts of all non-Party stakeholders to address and respond to climate change, including those of civil society, the private sector, financial institutions, cities and other subnational authorities”, and further praised the recognition of the need to base the climate actions on human rights, with a gender sensitive approach and taking into account sustainable development aims. Confident the Paris agreements are setting the basis for enhanced action and support of the local and subnational authorities, UCLG as well as C40 and ICLEI are joining the Paris Pledge for Action. By signing this pledge, Non-State actors showcase their support to the outcomes of the Conference and commit to contribute to global efforts to remain under the 2 degrees target by taking concrete steps immediately, without waiting for the COP21 agreement to enter into force in 2020. The Paris pledge for action and its signatories were made public on Wednesday 16 September. You’ve reached an agreement, now it’s up to us to make it happen!